In 1981 sheep breeders Detpa Grove used their Suffolk stud as a base and combined it with the white gene of select Poll Dorsets. Over the last ten years Depta Grove have sourced outstanding White Suffolk sires and selected ewes from various other studs to help build up a high quality ewe flock quickly. 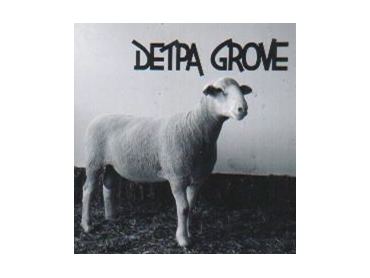 Depta Grove continuously aim to improve performance and productivity on sound structured sheep, providing high quality flock rams to prime lamb producers, and sound breeding stock to stud breeders. Founded in 2000, the accelerator Jivet breeding programs were set up in conjunction with AJ&JD Donnan "ANDEN" and IG&JO Pfeiffer "BURWOOD", to facilitate the use of Juvenile In-Vitro Embryo Transfer (JIVET) technology. These breeding programs are performed on lambs between 4 and 10 weeks of age and involve multi-ovulation, harvest, fertilise and implant programs. Currently these breeding programs achieve nearly two per annum. By using these breeding methods, Depta Grove has been able to fast track the improvement of their elite genetic material four fold. The descendants of this program are anticipated to filter down through the participating studs to significantly advance their entire flocks in commercially driven traits of performance - high growth and lean meat yield.